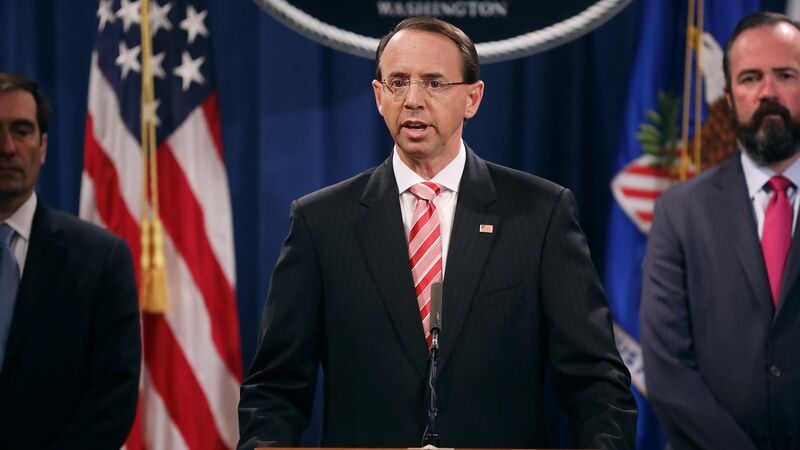 Deputy Attorney General Rod Rosenstein announced at the Aspen Security Forum Thursday evening that the Justice Department plans to notify the public, American companies, and private organizations when foreign entities are targeting the U.S. political process. The Department of Justice investigates and prosecutes malign foreign influence activity that violates federal criminal law. Some critics argue against prosecuting people who live in foreign nations that are unlikely to extradite their citizens. That is a shortsighted view. Why it matters: This announcement comes on the heels of multiple Justice Department indictments that accuse Russian nationals of interfering in the U.S. and its elections, including charges of conspiracy, money laundering and fraud.